Well, I’ve almost made it through Amylynn’s vacation – almost. Here are a few of the things that helped me make it without her. Obviously, I was off yesterday for Thanksgiving but I also took today off so I was able to annoy the girl who lives at my house – that always makes me happy! all and the work like a charm! 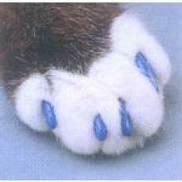 They come in a rainbow of colors but we put the clear ones on our cat because he’s very elegant kitty. 2. 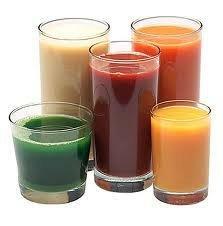 Fat, Sick & Nearly Dead – Kelli and I watched a documentary about juice fasting. We’re going to spring this on Amylynn when she gets back from the cruise. The man in the movie lost 98 lbs in 60 days and he got super healthy. Here’s to feeling great and losing weight – chink!!!! 3. 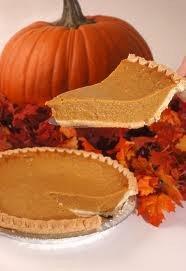 Pumpkin Pie – My favorite part of Thanksgiving is the Pumpkin Pie. I know that’s not original but I don’t care. In fact, I’m eating a left over piece right now while I’m writing. My aunt makes the best pumpkin pie in the world – admit it, you’re jealous. I wonder if we can juice pie? 4. Vampire Babies – The 4th installment of the Twilight movies is out. Since I have a pre-teen in my house, I had to go see it. Truth be told, I really wanted to go because I knew Bella Swan was going to have a half human/half vampire baby. The entire birth scene was extremely squirm worthy. 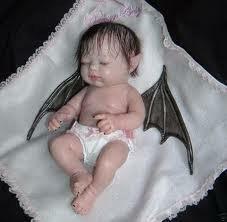 But the big payoff was a vampire baby – awwww so cute. but no! 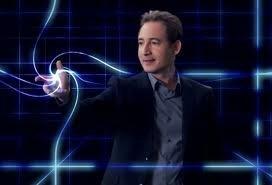 I watch Nova because of Brian Greene. Nerdy boy scientist didn’t look like this when I was in school. Actually, nerdy boy scientists looked a lot like nerdy computer boys – picture Bill Gates. I’m certain I don’t need to say more . . .